More on the Luxor Four Shelf Tub Utility Cart with 8.75 inch Clearance (Black or Gray) STC1111 below. 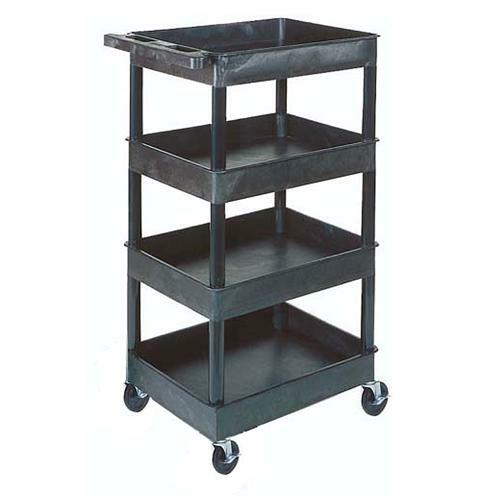 Luxor STC1111 - Four Tub Shelf Utility Cart with 8.75" Shelf Clearance. Three tub shelf utility cart with push handle molded into top shelf.